WordPress Pop-ups have a bad reputation, and if you were an active internet user over a decade ago, you probably understand why. It wasn’t uncommon to visit an innocuous site, only to be bombarded with dozens of unrelated pop-ups. Usually these were just annoying, but the worst examples could even contain harmful malware. However, times have changed – and the same is true for pop-ups. While they can still be used poorly, for the most part they have evolved into something that can be hugely beneficial to both website owners and visitors. In fact, implementing them well on your site can lead to a massive increase in conversions. In this article, we’ll discuss how pop-ups of today differ from their older counterparts. We’ll also explore some best practices for implementing them, and show you how to add them to your WordPress site. Let’s take a look! The first pop-up advertisement appeared in the late 1990’s. The ad was for a business that provided services for recent college graduates. However, one of the banners had appeared on a site the advertisers were not happy to be directly associated with. In response, a developer named Ethan Zuckerman came up with the idea to have the ad appear in a pop-up window, so it would not appear alongside the actual website content. Zuckerman would later apologize for this innovation. Even though his solution was clever, many used it in ways that were considerably more disruptive and malicious. Pop-up ads became so commonplace that they made browsing the web frustrating. Many even used intrusive techniques like auto-opening when you closed them, or included malware that could harm your computer. Fortunately, those types of pop-ups have long since become a bad memory. In fact, when we talk about pop-ups today, we’re talking about a different beast altogether. For example, pop-ups very rarely actually ‘pop up’ anymore. Instead, they usually manifest as a smaller box laid out on top of the current page. This is far less disruptive, and it’s easy to dismiss the box with a single click. Website owners have also adapted some best practices for using pop-ups that help them avoid frustrating their users. This means pop-ups can be a valuable tool if you use them properly. Pop-ups never really lost that negative initial perception, so it may surprise you that they are actually a very effective marketing tool. In fact, when used correctly, pop-ups can increase conversions and email opt-ins significantly, and they have a higher Click-Through Rate (CTR) than other types of ads. So, how is this possible? As we alluded to earlier, it’s all about how you use the tools you have. The key to positive results is using your pop-ups intelligently, and constructing them with the end user in mind. 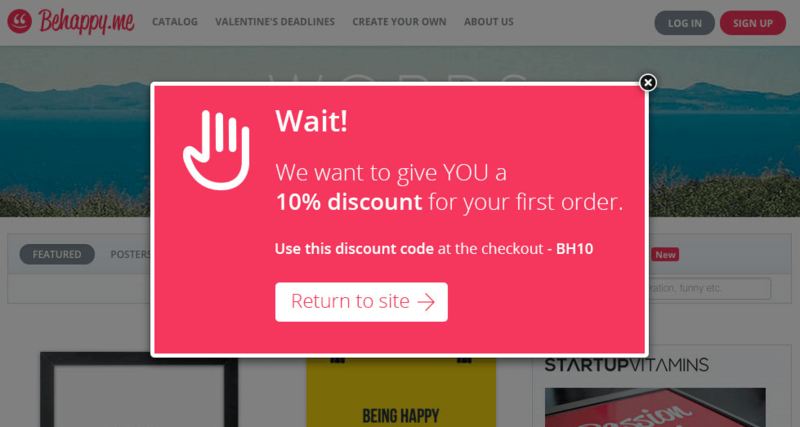 A pop-up’s purpose should be to make the benefits of whatever you’re offering to the user clear, rather than annoying them into clicking through. What’s more, you can use pop-ups in several different ways. For instance, they can offer the user a free gift, like an ebook download, or ask them to sign up to your newsletter. They can also be deployed with more finesse than their older counterparts, rather than simply appearing as soon as your site loads. As we’ve made clear, the key to a successful pop-up is knowing how and when to use it. Let’s start with the ‘when’. You see, pop-ups don’t have to appear as soon as somebody accesses your site. In fact, you can tailor when a pop-up is deployed in several ways. One popular usage is the exit intent pop-up. This is a pop-up that appears when the user’s mouse cursor moves towards the top of the browser, indicating that they are about to leave the page. This triggers a custom message, encouraging the visitor to stick around. You can also set pop-ups to appear after the user has spent a certain amount of time on a page, or when they have scrolled down to a specific point. Pop-ups can even be made dynamic, appearing depending on the visitor’s geographic location or what website they arrived from. The most important point is to always consider the end user’s convenience. You want to avoid frustrating them with intrusive or constant pop-ups. In fact, how often you deploy your pop-ups is something you need to think about carefully. For example, if a user has already seen and dismissed a pop-up, consider not showing them the same message again, at least until a certain amount of time has passed. Make the pop-up easy to close. This is important, as it will avoid prompting users to leave your page in frustration. Don’t obscure too much of the page. You should aim not to make the pop-up consume too much screen space. This is especially important for mobile pop-ups, where screen size is a crucial factor. Timing is important. Displaying a pop-up right away might work for some users, but others will be put off by this. Instead, consider using timed pop-ups, or triggering them after the user has scrolled down to a certain point on the page. 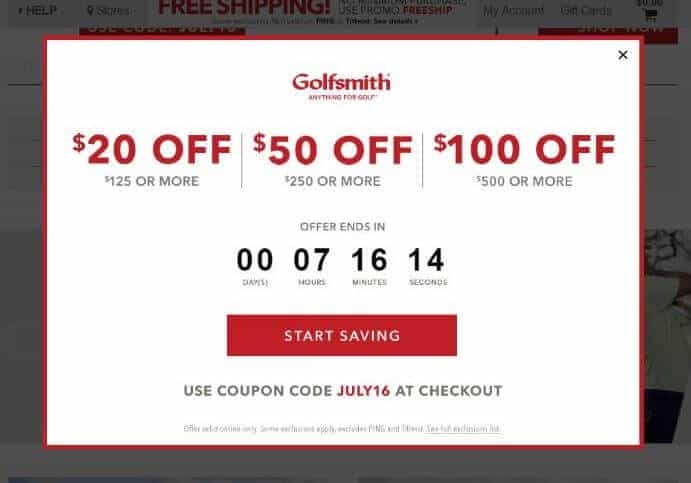 This behavior indicates that the user is invested in your site, and therefore they’re more likely to be open to an offer or reading more information. Another important step is to include a strong Call-to-Action (CTA) in your pop-up, in order to draw the reader’s attention and convince them to convert. Creating an effective CTA is a whole science in itself. However, the most important considerations are to keep the wording direct, make the benefits to the user obvious, and encourage them to click. Keep those things in mind, and you’ll be one step closer to creating a conversion-generating pop-up. By now, you’ll see that implementing pop-ups on your WordPress site can be hugely beneficial. The question now is how to do that. As is so often the case with WordPress, the best answer comes in the form of plugins. Here are three of the top pop-up plugins you can use on your site. Popup Maker is one of the most popular pop-up solutions for WordPress. It enables you to completely customize the appearance and behavior of your pop-ups. You can even use it to create a wide variety of pop-up types, including messages that contain a video player, present the user with vital legal information, and include a login form. Popup Maker is also compatible with opt-in solutions like MailChimp. Enables you to customize the appearance, triggering, and functionality of your pop-ups. Offers several extensions that add extra features. Makes it possible to track the performance of pop-ups with extensive analytics. Price: The Popup Maker plugin is free, and offers a number of premium extensions. You can also get a bundle containing all the extensions for $199 per year. Ninja Popups is a powerful and user-friendly pop-up solution. It includes a visual editor that makes it easy to construct pop-ups, and includes several options for how they can be positioned and triggered. This plugin also guarantees that its messages are immune to pop-up blockers, so you can rest assured that all your visitors will see them correctly. Includes an intuitive visual editor. Contains over 70 professional themes. Enables you to add animations to the pop-up box and contents. Price: Ninja Popups costs $26 for a regular license, while an extended license costs $147. Icegram is a fully-featured pop-up plugin that is aimed at website owners who want a simple, cheap solution. The free plugin contains a wealth of features, including performance tracking, a number of opt-in types, and several options for when and how your pop-ups should be deployed. Icegram also ensures that its pop-ups are responsive, so you don’t have to worry about creating separate pop-ups for mobile devices. Makes it easy and cheap to create pop-ups. Includes analytics and statistics to track your pop-ups’ performance. Enables you to perform A/B split testing to optimize your pop-ups. Price: The basic Icegram plugin is free, but you can also get a premium plan with additional functionality. This starts at $97 per year. Despite their unfortunate past, pop-ups have turned a corner. Today they are a solid tool for generating leads and encouraging conversions. The key is knowing when and how to use pop-ups on your WordPress site. If you consider the best practices we’ve introduced, you’ll be able to create effective pop-ups that don’t annoy your users. Popup Maker: A strong free option, which offers plenty of additional features in the form of optional extensions. Ninja Popups: An intuitive option with a visual editor, and several themes that make it easy to create an attention-grabbing design. Icegram: An excellent alternative for beginners, with a free version that includes many premium-level features. Do you have any questions about implementing popups on your WordPress site? Let us know in the comments section below!